A vast, hyper-paced metropolis, Bangkok can leave you breathless. There’s so much to see and do, and so many contrasts: from peaceful temples to X-rated shows in Pat Pong; from majestic royal palaces to monolithic shopping malls, there’s somewhere new to explore every day. The first things to check out (depending on your mood on arrival!) 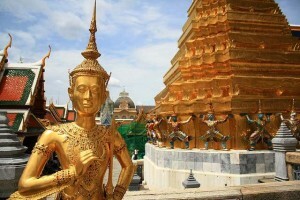 include the bars on Khao San road, and the beautiful Emerald Buddha at the Grand Palace. Recommended hotel: There are plenty of great-value Hotels in Bangkok to choose from. 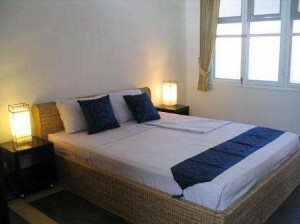 Viengtail Hotel is found in the heart of Khao San Road close to the Grand Palace, and has an outdoor pool. 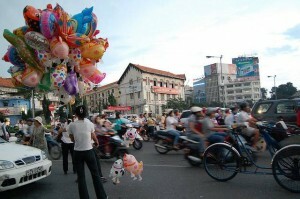 Cambodia’s capital Phnom Penh is rich in atmosphere and signs of (a sometimes fraught) history. Sitting on the banks of the Mekong, the city was once known as the ‘Pearl of Asia’ – and despite the ravages of the Khymer Rouge in the ‘70s, the city has a few beautiful French colonial houses and wide boulevards left to see and explore. Eat and shop at street markets, see the National Museum and try to get your head around the horrors of Pol Pot’s regime at the Tuol Sleng Genocide Museum. Recommended hotel: Frangipani Villas offers free Wi-Fi and bike rental, plus has a friendly café for meeting other travellers. Still interchangeably known as Saigon among locals and travellers, Ho Chi Minh City is super-evocative: wander down narrow alleys, take in the view of rooftops from gleaming pagodas, breathe in the scent of cooking food at ramshackle markets then whizz downtown to walk amongst the skyscrapers. Things to see include Quan Am, the city’s oldest pagoda, the curiosity of the French-built Catholic cathedral Notre Dame in the centre of town, the Reunification Palace and War Remnants Museum. Recommended hotel: Thien Thao is a smart, modern hotel close to the centre of town and offering airport pickups. Breakfast and Wi-Fi is free. Fancy a change of scene after all that city-dwelling? Langkawi is Malysia’s very own slice of coastal paradise. An archipelago of 99 islands 30 km off the mainland, Langkawi offers sugar-white beaches, cruises, sea-kayaking, scuba diving, helicopter rides and rainforest treks – plus plenty of opportunities to just sit back and relax with a cocktail! Lagkawi’s a tax-free zone after all, and alcohol’s much cheaper here than in the rest of the country. To soak it all up, head to the nearest restaurant to tuck into delicious local seafood. Recommended hotel: A short walk from the main island’s beach, Citin Hotel has its own café (with Wi-Fi) and rooms with flat-screen TVs, air-con and bathroom toiletries. These recommendations are obviously just a taster of where to go and what to do in South-east Asia – but every journey has to start somewhere! With these pointers under your belt, your trip should begin on a high-note. Adam’s Attic, Check it Out!